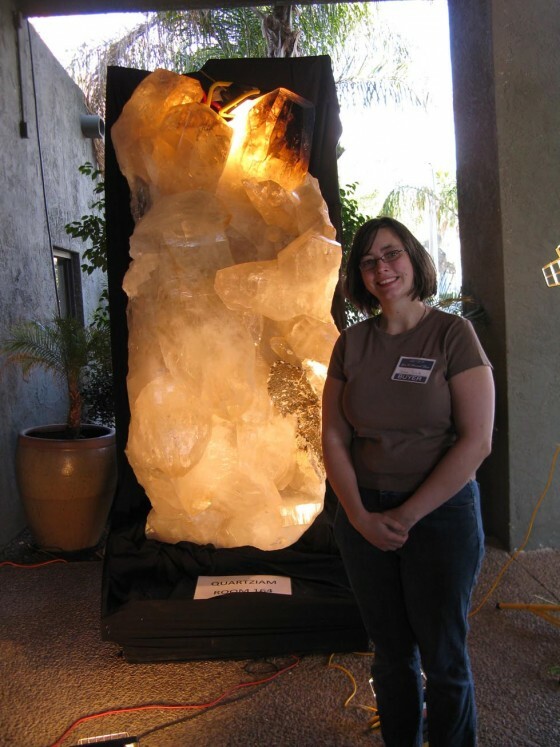 This is part two of my series on planning for attending the Tucson Gem and Mineral Show, which takes place at the beginning of February each year. 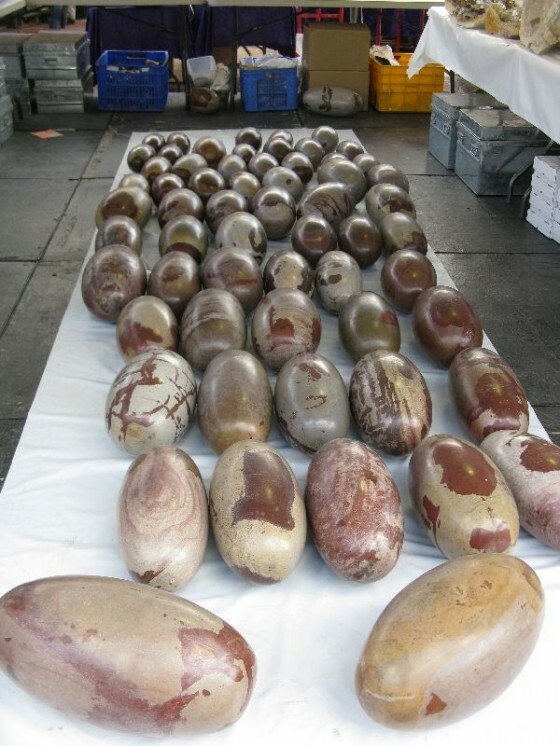 It is the largest gem and mineral show in the world and draws vendors and shoppers from all over the world. This post is going to address the best ways to get around. 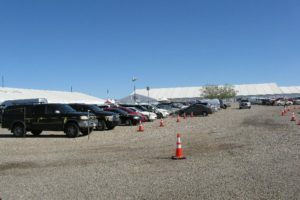 Parking and Transportation at Gem Show: Because the gem show is so large, getting between the individual shows can be challenging. There are shuttle services provided by the individual shows, but they are hit or miss and can often be very full. I stood waiting for an hour or more to get somewhere by shuttle (and took up a whole afternoon just trying to get back to the hotel) while my friends boarded a shuttle from a different location right away and got right to where they were going. Parking is plentiful by Electric Park/Kino Sports Complex and the Gem Mall. 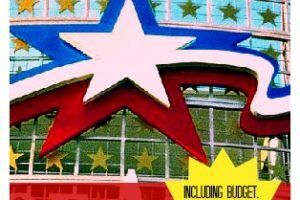 It is possible to park in one of these lots and take the shuttle to other shows from here, as these are main transportation hubs for the provided shuttles. Parking by hotel row is harder to come by, especially is you don’t want to walk very far. There are residential streets around here, though you might have to walk for a few blocks from where you leave your car. One of the better options might be just paying the money to stay in one of the pay parking lots. Start by the River Park Inn and work your way down. It is worth it to spend the money to park close, because it will be easier to drop off your purchases when they get heavy. Tucson does have some public transit options which you can use to hook up with the provided gem show shuttle, but making that many transfers can be very time consuming. If you are in a large group, it s possible that a shared taxi may be cheaper than a rental car, depending on how many rides you are taking throughout the day. If you are just taking a taxi from a Tucson hotel to one show each day and taking a taxi back, this might be a cheaper option. In the case of our group, we were hitting multiple locations each day, and also had evening diner invites to travel to, so it was definitely more efficient for us to rent a car. If you are taking taxi’s in lieu of renting a car, it may be best to hook up with one taxi driver and get their card so you can call them throughout the week. If you are taking many taxi rides with one driver, you may be able to negotiate a better price, and you won’t need to worry about getting stuck (try to give them some notice and call them 45 minutes to an hour before you are need to go, so they can plan you into their pickups). 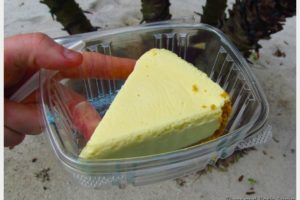 If you decide to go this route, shop around and make sure that you are getting the best rate per mile, then see if you can get a volume discount for using them throughout the week. Ask your hotel who they would recommend. We used one taxi man many times during our visit, only to discover that he was charging us about twice what the going rate was! If you are still considering trying to get around using the shuttles, remember that as you shop throughout the day, you will be accumulating more purchases that will get heavy. This is another benefit to having a car parked nearby; you can go to unload periodically! 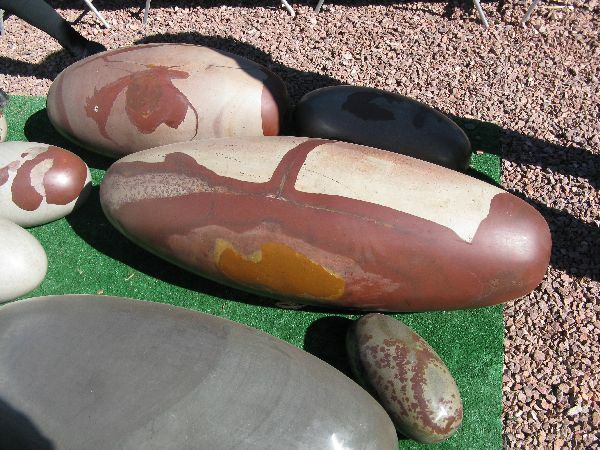 Do you have any other questions about getting around the Tucson Gem Show? Post them in the comments and I will do my best to answer them. Thanks for the info. I didnt realise it would take a shuttle bus to get from each show.. 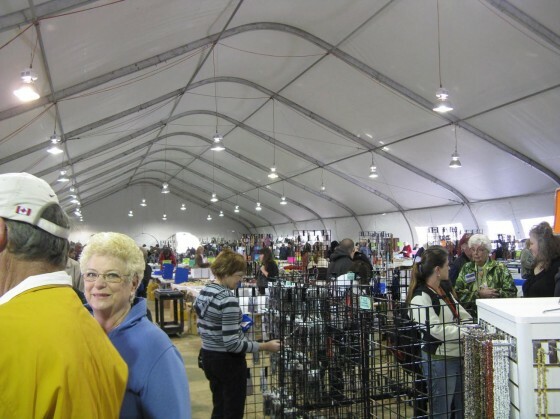 Yes, the Tucson Gem Show is MASSIVE! It is literally spread out over most of the city. The various shows are in hotels and others are in huge tents in parking lots all over the city. Please, let me know if you have any other questions that I can answer.